At GAH, we believe in pet insurance—we’ve seen it help families take better care of their animal companions and afford life-saving procedures for their pets. September is Pet Health Insurance Month, and while there are many pet health insurance plans available, we highly recommend Petplan and Embrace Pet Insurance. Both are top-rated, offer excellent customer service and a 30-day money back guarantee. 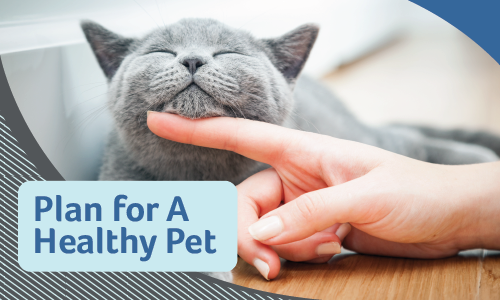 There are many other plans and options available on the market and we suggest you do some research before choosing the one that is right for you and your pet. Also, keep in mind that with most policies, the pet owner must first pay all hospital bills in full, file a claim, and then wait for reimbursement from the insurance company. We have insurance for ourselves, our cars and our homes, so why not for our beloved pets? If disasters occur, having your companion animal taken care of with pet insurance provides peace of mind and the proper coverage could save—and extend—the life of your pet. Have questions about pet insurance? Call us at 630-297-4709 or click on the links above to find out more about the Nationwide or Embrace pet insurance plans.